Rugby players have always played in varied conditions, and in different eras, making it difficult to pronounce who is the best. However, with the introduction of professionalism into the sport in 1995, a new breed of stars emerged; faster, more dedicated, and stronger than ever before. These players have, over time, raised the bar, and thrilled the world on the biggest stage. Of course, we can’t afford to forget the likes of George Smith, Doug Howlett, Richard Hill, Victor Matfield, George Gregan, Martin Johnson, Jonny Wilkinson, Shane Williams, and of course, the most feared rugby player in history, Brian O’Driscoll. The list is seemingly endless, and we could go on forever. But who are the two heroes that have stood out since 1995? The answer is Richie McCaw and Dan Carter. And they have one thing in common; both of them are New Zealanders. This Kiwi star boasts remarkable statistics. He is the most capped rugby player, with a world-record of 148 caps. He captained the All Blacks 111 times and won 131 games with his country. If there is one player who started small and grew into an all-time best rugby star, it is Richie. Having begun his rugby career at Otago Boys High School, he was clearly far from the finished product, who the world saw in his prime. He worked tirelessly to complement his natural rugby prowess, and turn himself into a complete world-class star. He also possessed footballing ability and athleticism, which helped him in breaking the line on a consistent basis. 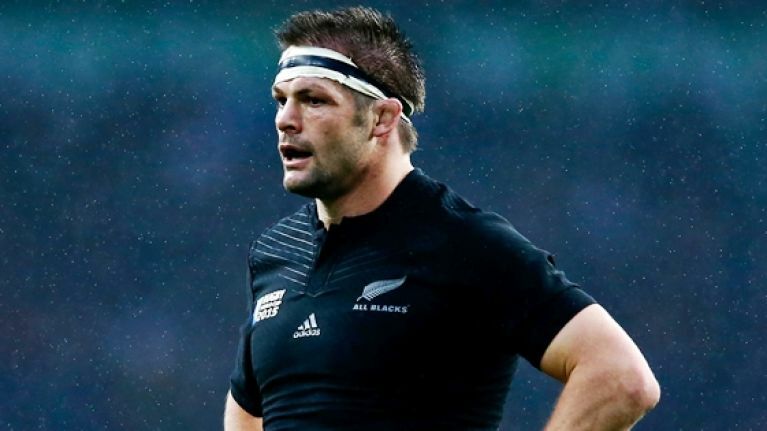 Add to these attributes his leadership skills, and you will have the perfect Richie McCaw. His lifting of the World Cup in 2011 is a testament that Richie is the greatest of all time. As if this most prominent trophy was not enough, McCaw continued to play, breaking one record after the other. Before his retirement, he went on to win another Webb Ellis trophy in 2015. What a befitting send-off for a true legend! Dan’s record speaks for him. He is known to have scored the highest number of points in the history of international rugby. A prolific kicker, a stellar controller, and a masterful silky runner, Dan’s impact on the sport could not be emphasised enough. Carter would always rise to the occasion whenever his team needed him, and he was always a match winner for his side. Having made his worthy Test debut in 2003 against Wales, where he scored 20 points, Dan Carter was only treating the world to a glimpse of what was to come. In 2010, also playing against Wales, Dan became the highest point scorer in the world, overtaking Jonny Wilkinson. In 2005, Dan put in a stunning performance, helping the All Blacks to beat the Lions 48 points to 18, in Wellington. In this match, he scored five penalties, two tries and converted four times. Although Carter didn’t shine at the 2007 and 2011 World Cups due to injury, his test career ended on a high, when he guided New Zealand to the 2015 World Cup glory; a tournament in which he dazzled again.